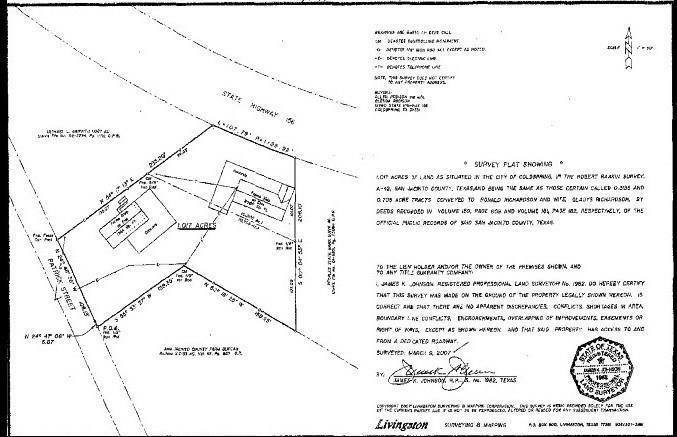 1.0185 ACRES with 99 Feet HWY 156 Frontage & 108 Feet Frontage on Patrick Street. Excellent opportunity for any commercial retailer, fast food, restaurant. 2 street entrances. 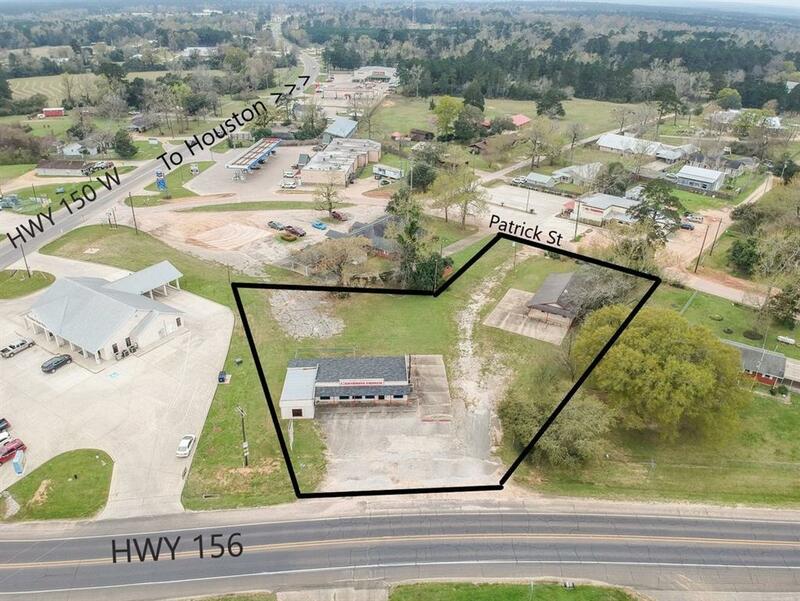 2080 SF & 1344 SF buildings included.Currently rented out month-to-month to a church.High Traffic area in the middle of Coldspring and one of its busiest intersections. 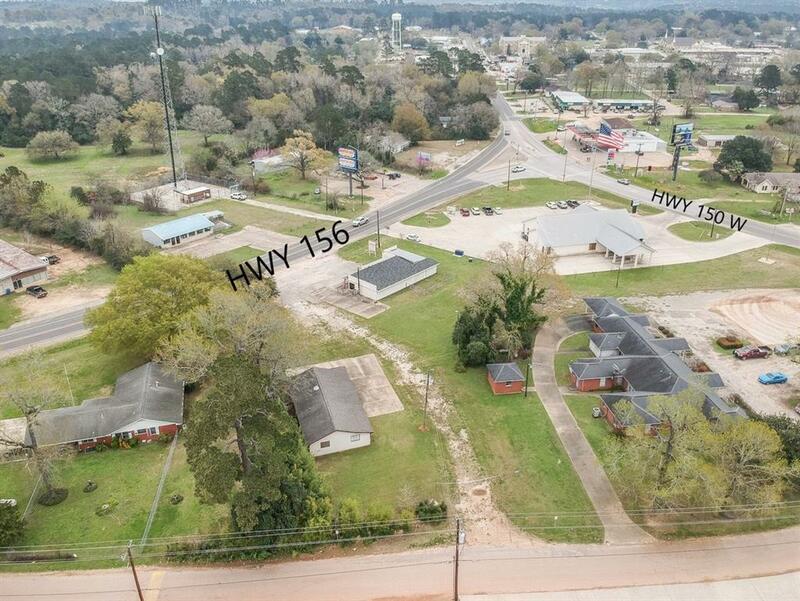 Availability of 1+ Acres with separate Hwy and Street entrances.